On the sixth day of the first lunar month, all parts of Guangdong ushered in the peak of the Spring Festival return trips. 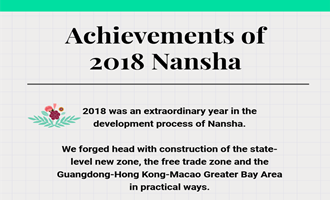 The reporter learned from the Nansha Port that during the Spring Festival, there were more than 30,000 entry and exit passengers at the Nansha Port. 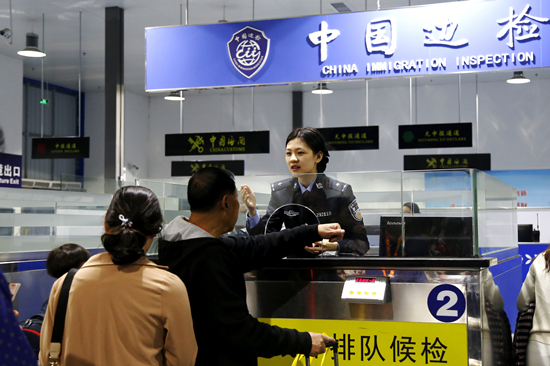 The Nansha Border Checkpoint took a number of measures to ensure the passenger clearance. The reporter saw at the Guangzhou Nansha Cruise Ship Terminal that most of the passengers were families with the aged and the children, carrying large or small bagsand queuing up in the entry passage. The on-site inspectors guided the passengers in an orderly manner. 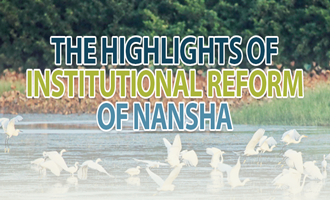 According to the introduction of the Nansha border checkpoint, in order to cope with the return travel peak, the checkpoint strictly implements the requirements of the National Immigration Bureau regarding release, management and service, and prepares a response plan and pre-judgment mechanism in advance. It informs passengers in a timely way of the traffic conditions through the official WeChat account and Weibo so they can prepare in advance. At the same time, measures such as segmentation and diversion, opening of all channels and special passages channels were taken at the port site and all staff members were on duty to ensure safe and fast customs clearance. Nansha border checkpoint reminds passengers to carefully check their documents to ensure timely customs clearance.